Times Square Shuffle is based upon one of several shots I took of this intersection. 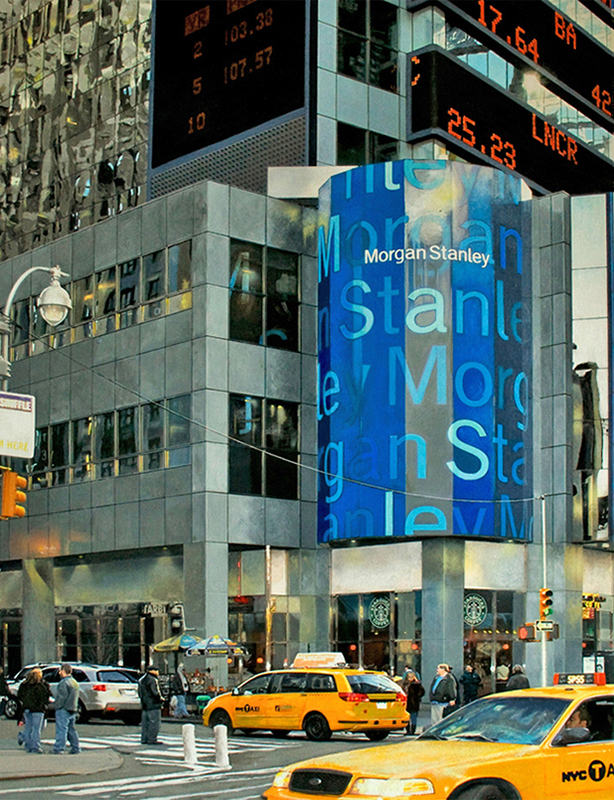 The Morgan Stanley facade with stock quotes of the day is paraded as if the nation's biggest financial crisis hadn't occured due to its complicity in the so-called mortgage crisis. Everyday life on the streets of New York appeared in stark contrast to the intense financial transactions affecting so many lives taking place above. Most intriguing was how the combination made for a well balanced, and albeit peaceful composition.